EEG biofeedback has been demonstrated as effective in the treatment of alcoholism, as evidenced by Peniston and Kulkosky’s research efforts (1989, 1990). Most research with alpha-theta EEG biofeedback has addressed alcohol addiction. Given that cocaine is the most common drug problem of patients entering treatment for drug abuse (NIDA’s Drug Abuse Treatment Outcome Study, 1999), research in the treatment of this “untreatable” population is warranted. The current study is a four-year research project developed by the Southwest Health Technology Foundation (SWHTF). 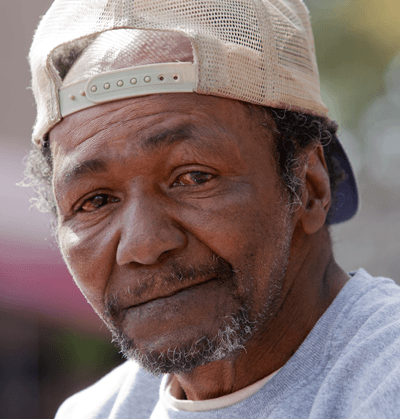 It is currently underway at the Open Door Mission in Houston, Texas, and utilizes EEG biofeedback with mostly homeless “crack” cocaine addicts in a ninemonth residential, faith-based treatment program. Two hundred and seventy (270) male addicts received 30 sessions of a variant of the Peniston-Kulkosky alpha-theta biofeedback protocol. Outcome measures included psychometric as well as behavioral measures. To be considered a “success,” subjects must have: (a) current living arrangements [no longer homeless], (b) no substance use [including alcohol, marijuana, and “crack”], (c) no subsequent involvement with the criminal justice system, and (d) current employment or student status. After the introduction of the neurofeedback to the mission regimen, length of stay tripled, beginning at 30 days on average and culminating at 100 days after the addition of neurotherapy. Similarly, before neurotherapy, the mission was “graduating” 12 men per year from their drug treatment program, which now has increased to an average of 12 graduates per month. One-year follow-ups of 94 treatment completers indicate that 95.7 % of subjects are maintaining a regular residence; 93.6 % are employed/in school or training, and 88.3 % have had no subsequent arrests. Self-report depression scores dropped by 50% and self-report anxiety scores by 66%. Furthermore, 53.2% reported no alcohol or drug use 12 months after biofeedback, and 23.4% used drugs or alcohol one to three times after their stay. The remaining 23.4% reported using drugs or alcohol greater than 20 times over the year. Urinalysis results corroborated selfreports of drug use. These finding are significant in that conventional forms of substance abuse treatment report 65-70% relapses within the first year after treatment (McKay, Atterman, Rutherford, Cacciola, & McLellan, 1999). Given the discrepancy between “lapse” and “relapse” in the addiction literature, it is important to recognize the large gap in number of uses reported. Overall, these findings suggest that the synergy between neurotherapy and faith-based programs are effective in the treatment of crack cocaine addiction. McKay, J., Atterman, A., Rutherford, M., Cacciola, J., & McLellan, A. (1999). The relationship of alcohol use to cocaine relapse in cocaine dependent patients in an aftercare study. Journal of Studies in Alcoholism, 60, 176-180. Peniston, E. G., & Kulkosky, P. J. (1990). Alcoholic personality and alpha-theta brainwave training. Medical Psychotherapy, 3, 37-55. Clinical and Experimental Research, 13 (2), 271-279. Peniston, E. G., & Kulkosky, P. J. (1990). Alcoholic personality and alpha-theta brainwave training. Medical Psychotherapy, 3, 37-55.